I picked up this little palette in my local chemist a few weeks ago. 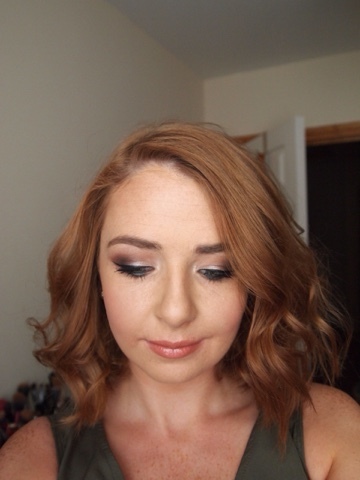 I thought it would be perfect for doing everyday makeup for work but I ended up using it for the nights I went out over the bank holiday weekend. 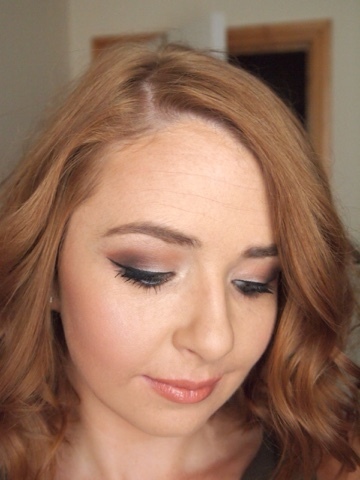 I used it to create two different types of smoky eye. The second of which I didn't take any pictures of but will redo during the week. There were a few different shades to chose from and I picked 022 Brixton Brown to compliment my colouring. 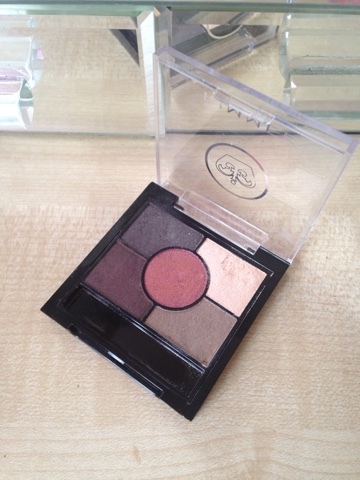 The palette includes 5 different shades as well as a guide at the back to put the colours if your unsure. The colours are so pretty my favourites are the champange and cranberry and the colour payoff is really good.